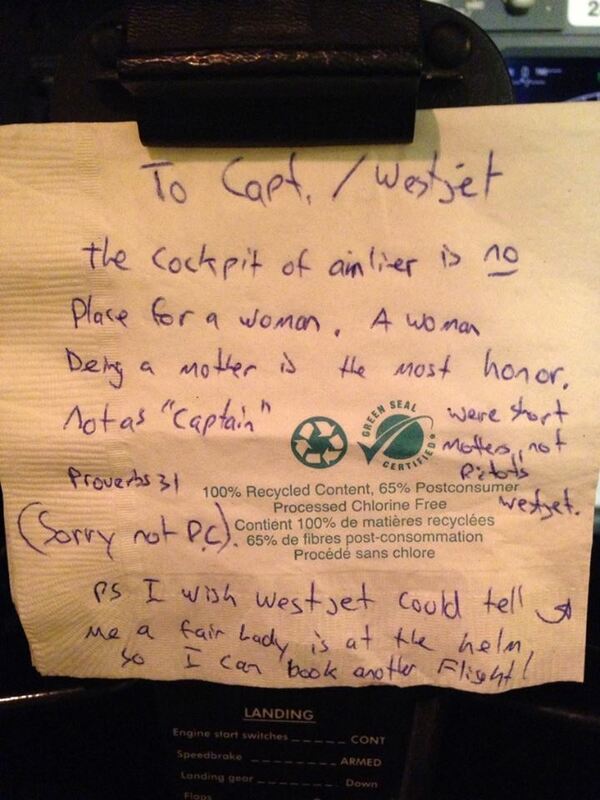 A passenger on a recent WestJet flight left a crude, sexist note scrawled on a napkin denouncing the flight’s female pilot. The genius passenger—who, by all indications traveled safely from point to point on the woman-piloted flight—did not leave a name. The pilot, Carey Smith Steacy, posted the note to Facebook where it began its viral journey across the Internet. On social media people have been offering words of support for Steacy.